Commercial cleaning is not a usual kind of clean. The workplace is a busy establishment. Workers, especially those bound to sit all day by their computers or attend to specific roles don’t really have much time to clean their areas. Especially if they only have 15-30-minute breaks. So, instead of cleaning, they’ll just spend their time trying to be productive. Well, let’s get real. Who’d take the effort when it’s not part of their job description? In addition, there are specific areas in the workplace rarely congested by people but rather accumulate a considerable amount of dirt on a daily basis too. Thus, leads to the necessity of hiring janitors/cleaners for commercial cleaning. 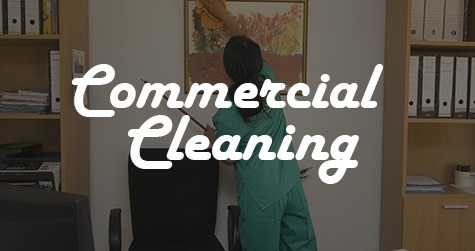 Now, if you’ll pay for commercial cleaning, might as well take into account the quality of service to be expected. As much as you’d save more on inexperienced freelancers, there really is a big difference when it comes to results from an experienced professional. And take note that cleanliness in a workplace is important. Furthermore, it can potentially affect your workforce’ productivity. I mean, who would like to work in a messy workplace, eh? Therefore, investing in quality commercial cleaning services is worth the extra dollar. So, where can you get a quality commercial cleaning? Maid in Perth takes pride in our very own experienced and professional cleaners. They are trained to get the job done. And practices good customer service. They’d put your special request or instruction as a priority. And your guarantee? Is that we will never let you pay for incompetent work. In fact, the team will gladly come back to redo the work if we failed to meet your expectation. And you’re still not happy after cleaning all over again, we then will refund your money. Thus, you can rely on that if you invest in our services, you’ll get your money’s worth and more! For questions, concerns, and enquiries; call us at 1300 707 692. You also want to know about our Move in Move out cleaning services. Get your quote today!